Gallery Calapooia artists are showing artwork at the Art Center gallery in Brownsville, OR during March 20 – April 25. A reception will be held on April 4th from 2:00 – 4:00. The same day, the historic Moyer House, a very short walk from the gallery, will be having a Grand Reopening. This entry was posted in and tagged Brownsville, exhibit, Gallery Calapooia, Reception on April 4, 2015 by Rob Robinson. 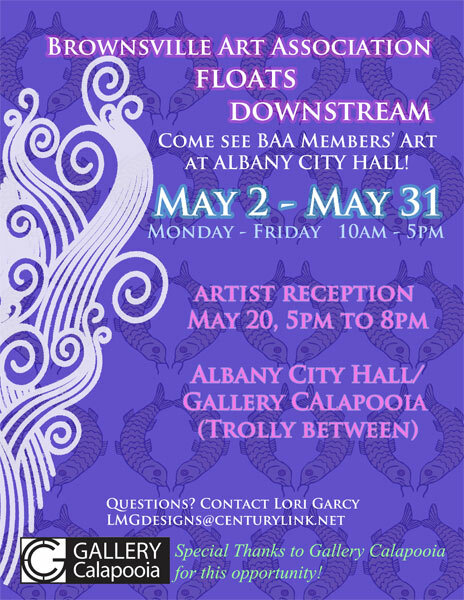 From March 20 until April 25, Gallery Calapooia artists will be showing artwork at the Art Center gallery in Brownsville, OR. A reception will be held on April 4th from 2:00 – 4:00. The same day, the historic Moyer House, a very short walk from the gallery, will be having a Grand Reopening with a public ceremony from 1:00 – 2:30. 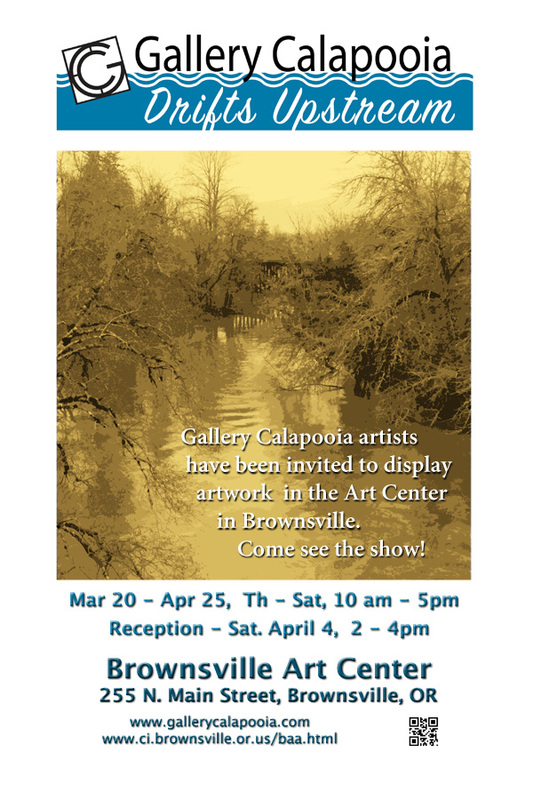 Stop by the Art Center to enjoy the artwork and have some fun in downtown Brownsville. This entry was posted in and tagged Brownsville, exhibit, Gallery Calapooia on March 20, 2015 by Rob Robinson.